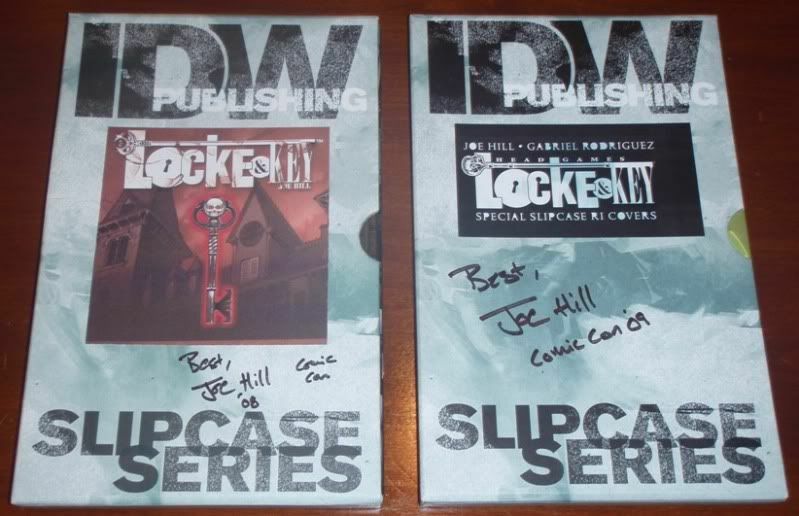 These slipcased sets are limited to 100 each (not numbered) and are San Diego Comic Con exclusives (the slipcases not the comic books). 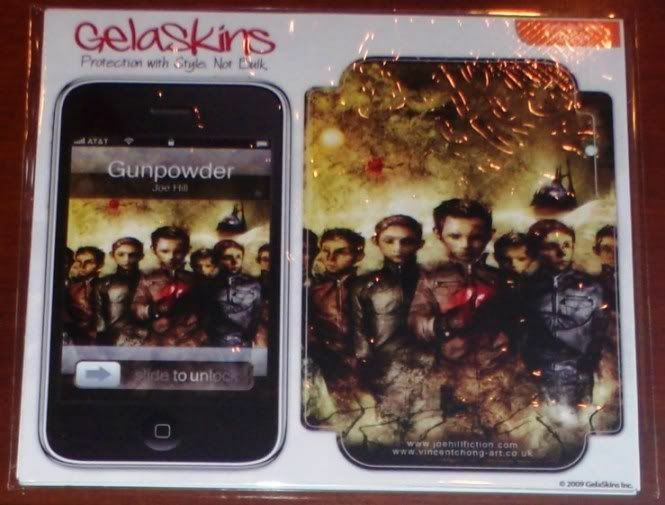 As seen in the photo above, I picked up the iPhone skin, also a 2009 SDCC exclusive, from Joe Hill's GUNPOWDER created by artist Gabriel Rodriquez. 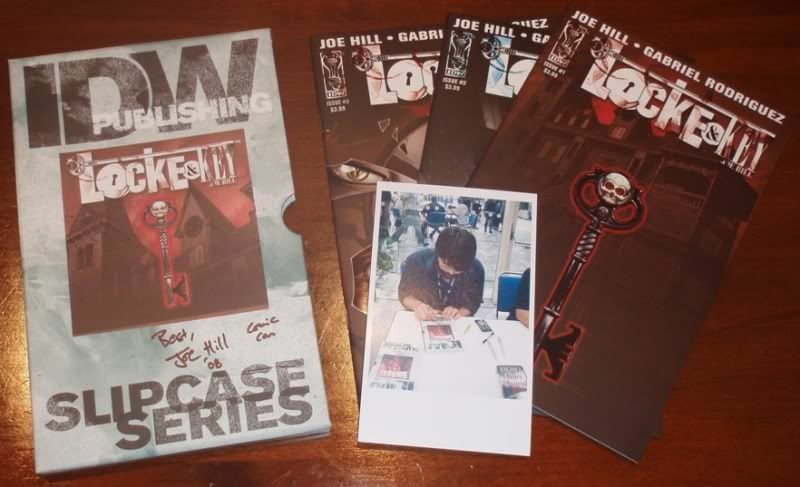 Oh, hey, i noticed your pic of Joe at the 2008 SDCC. Mary and I was there, we where sitting on the side waiting for joe to finish. lol. Unfortunately, I was at my school trying to get some of my dissertation done during the SDCC 09. I hope that we can go ot SDCC 10. I like to correct something, Patrick. The Gunpowder iPhone skin was designed by the extraordinary talented Vincent Chong, not by myself. Thanks for the misunderstanding, anyway....haha. Darn! You beat me to it, G! I realized my mistake and came online to correct it. Chong and Rodriquez are two gifted artists with completely different styles. Vincent Chong did the artwork for GUNPOWDER, but since I had L&K on my mind while posting, I mistakenly credited it to Gabriel. Sorry about that! 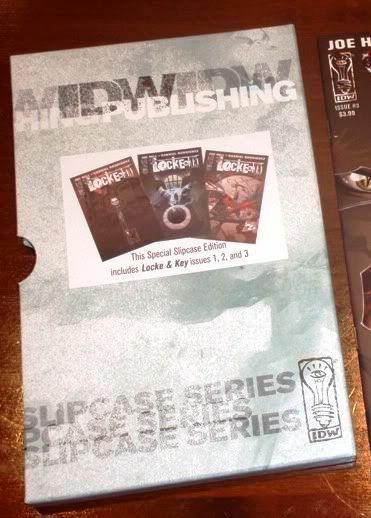 Has anyone noticed the printing defect on bottom of the Head Games #4 variant 2009 SDCC Slipcase Edition. There is some kind of ghosting from what looks like the regular #4's cover. It kind of looks like the bottle Kinsey's creature is trapped in. Might be collectible variant to a variant down the road, since the regular variant doesn't have this on bottom. Wonder how it got a 10? Betsy_Boo wrote: Wonder how it got a 10? The grading company allows for production errors. To tell you the truth I think they missed it, out of the hundred books they do daily. But, I'm glad I have it in CGC 10, because with the flaw you can distinguish it better as one of the 100 #4 SDCC variant copies to the regular #4 variant which had 930 copies! 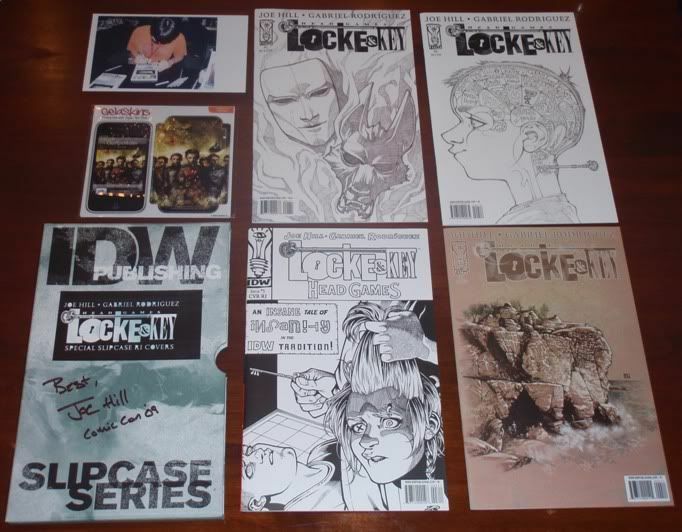 It may be the only graded L & K you can prove with the lowest print run. Yes, that is interesting! I didn't realize that this variant was different than the regular variant. Thanks for the info. Patrick wrote: Yes, that is interesting! I didn't realize that this variant was different than the regular variant. Thanks for the info. If I get time this week. I'll point out another unknown L & K variant to a book too.